Property 8: Welcome to the town center of Toledo. Enjoy its history. 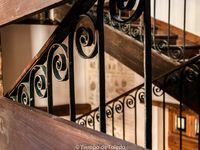 Property 9: IMPECCABLE AND COMFORTABLE APARTMENT IN THE OLD TOWN. ACCESSIBLE BY CAR WIFI!! Property 17: "The Balcony of the Tagus". Historic helmet. Garage. Wifi!! Property 26: comfortable family home in Toledo with pool and free parking. 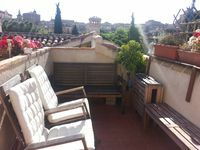 Property 28: Apartment between Alcazar and Cathedral, parking included. Property 35: Tourist building. Ideal house for 6-7 people. Pets allowed Garage. Property 44: CENTRO CASCO HISTORICO BUILDING, BETWEEN CATHEDRAL AND RIVER. Pets allowed Garage.